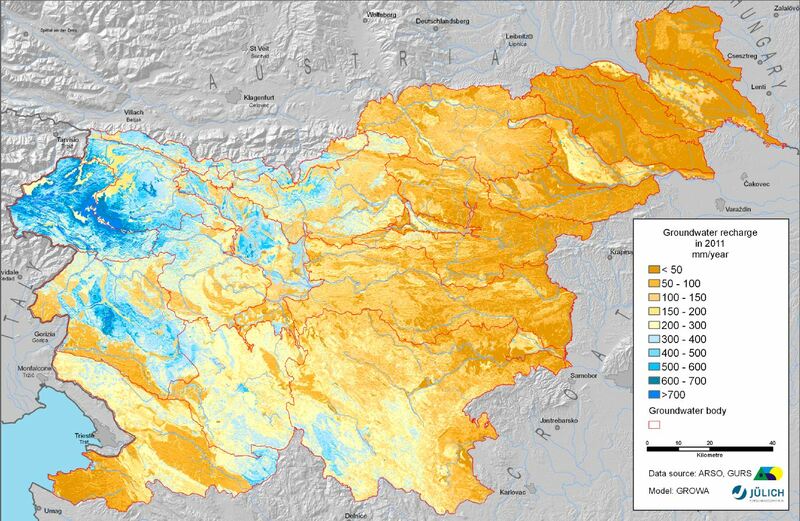 Total renewable groundwater quantity in shallow aquifers of Slovenia in hydrological year 2015 was slightly above the long term average of the 30 years period 1981-2010. 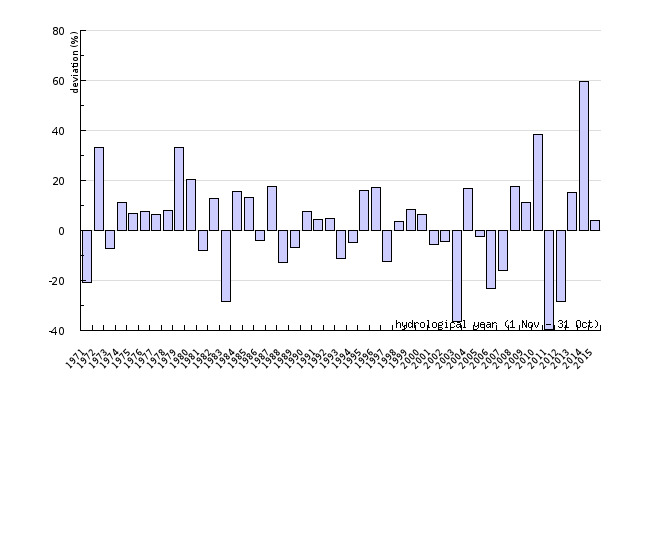 Figure VD15-2: Groundwater recharge of shallow aquifers - annual quantity deviations from 1981 - 2010 average. -	to improve groundwater management in the fields of drinking water supply and protection of groundwater dependent aquatic ecosystems.